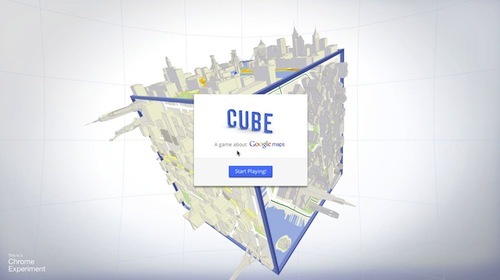 Yesterday Google released their game based on the Google Maps API and WebGL (Note to Safari users, you’ll have to enable WebGL through the Develop menu to get it to work). Basically you use your mouse to tilt a 3D cube and have a ball travel down the transportation networks (road, trails, subways, etc). Since we in GIS all know about topology in these networks, the game isn’t as hard as you might expect. Still it’s a pretty amazing example of using HTML + WebGL for web mapping. Open or not, the Google Maps API clearly is well ahead of others. If you can stomach the licensing, you’ll continue to have access to tools that other mapping libraries can only dream of.